I’m an odd combination: a former engineer and business manager who is also a romantic and now an ordained church minister and wedding officiant. In mid-career, I left all that was familiar to enter the ministry. My wife and I met in school, married a year after graduating, raised three children, and have been rewarded with grandchildren. One of the challenges of planning a wedding is finding new and creative ways to make your celebration unique. An exciting venue, personalized décor or unique reception can make your truly special day an even more memorable one. An outstanding and well-planned ceremony is just as important! Whether uniquely designing a “just for you” ceremony or honoring long-standing traditions, a caring professional adds well-earned experience and carries your dream to completion without a glitch. As an experienced wedding officiant in Las Vegas, Pastor Ed has helped hundreds of couples create elegant, fun and comfortable weddings, carefully blending meaningful traditions and creative expression. 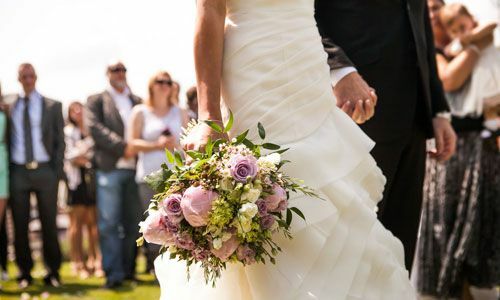 His number one goal is to assist couples in designing a custom ceremony that will meet and exceed expectations, a casually elegant wedding that will be extraordinary. Las Vegas is typically casual, with splashes of elegance scattered here and there. But there’s more. You’ll feel a comfortable casual familiarity with Pastor Ed from the moment you start working together. You’ll sense that he understands you as though you’ve been distant yet long-time friends. You’ll appreciate the encouragement, assurance and genuine care you’ll receive. And that “no pressure” feeling will carry into your wedding ceremony. Casual, yes, but elegant too. You’re here because you like Vegas: because you’ll have a good time, your guests will enjoy themselves and you’ll be reminded of your wedding each time you come back. All good reasons to be here! But let’s face it. You’ve probably been teased by someone about being married in Las Vegas – getting “hitched” by Elvis at some drive-up-window “Chapel”. So let’s keep it fun without sacrificing the excellence, warmth and wonder that such a life-changing moment inspires. That’s the elegant part. Pastor Ed has been doing weddings throughout the Las Vegas area since 2003. All of our associates are experienced and excellent. They will come to wherever your wedding will be. The word “Officiant” means “the person legalizing your wedding”. Officiants are sometimes called the wedding: minister, pastor, celebrant, clergy, priest, rabbi, judge, Justice of the Peace, or Notary Rpubli. The title “Rev.” (Reverend) refers to one’s ordination, while the term “Pastor” refers to a Reverend who is currently employed as the professional minister of a church. A person can (through some outlets) acquire the Rev. title with little training. But it’s recommended that you choose someone who has a post-graduate seminary degree, comprehensive training (including an internship), professional credentials, and solid experience in public speaking and events. Ed is the senior Pastor of a suburban Las Vegas church, a counselor, and an instructor for a nationally prominent denomination. He’s an odd combination: a former engineer and business manager who is also a romantic. Pastor Ed has earned three university degrees, advanced certification, sat on several Boards of Directors, and demonstrated leadership in civic, church, and professional affairs. Couples requesting Pastor Ed’s services through this website are not being married in the church. No questions or demands! Our only expectation is that we be respectful of one another. Ed’s personality is casually elegant, easy-going and easily humorous. Every part of your wedding will be designed with special consideration for you. You’ll be able to choose among a wide range of ideas and have as free a hand as you want – or be able to relax and have everything prepared for your approval. Choosing the person who will stand with you and your partner at the center of your ceremony is important. 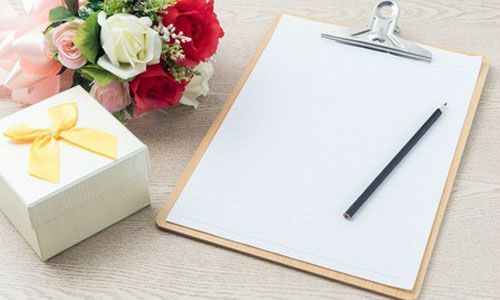 More than any other wedding professional – the officiant can, at the last minute, make or break a wedding. Pastor Ed will go the extra-mile for you; achieving the casually elegant result you can and should expect your Las Vegas wedding to be. When you “Start Your Planning” (see the box at the bottom at the bottom of this page) you’ll have access to a complete planning guide and all the assistance you desire. Pastor Ed will consult with you as well, suggesting how you can blend meaningful traditions with creative ideas to fulfill your dreams. Everything that is important to you can be worked comfortably into your wedding. How long will the ceremony be? Long enough to be memorable and short enough that your feet won’t hurt. We’ll work out the length to suit your purposes, but generally expect 15-25 minutes. And we guarantee no one will be bored. We’ll take care of filing your completed marriage license. 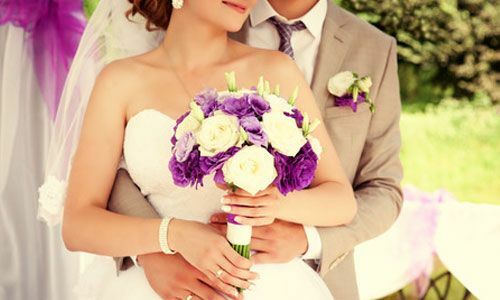 If the bride chooses to take her husband’s name, we provide a free Name Change guide as well. Pastor Ed will be available by Skype, phone, email, text or in person every step of the way. You’ll enjoy working with him. Your guests will be impressed and speak favorably about your wedding – at your reception and for years to come. We certainly think so! We hope you do too. Now the next step is for you to contact us, phoning or texting 702.580.6589 or emailing Pastor.Ed@CasualEleganceLV.com or using the “contact” page of this website. Together, we’ll both enjoy your Casually Elegant wedding in Las Vegas! I just wanted to let you know how happy Jason and I were with the ceremony!! Your words were absolutely gorgeous and made me cry. We have had so many guests tell us how unique and special the ceremony was–because of what you said. Again, thank you for a such a beautiful ceremony! It was a wonderful way to begin our life as husband & wife. We would also like to invite you to the rehearsal dinner afterwards that day. Please let us know if you can make it and we can send you the invitation with directions to the restaurant. Also, would you be able to stay for our wedding reception after the ceremony to have dinner and give the dinner blessing? We wanted to thank you for making this wedding come true. We never had an opportunity to say goodbye. We apologize. You were wonderful and made us feel very special. The ceremony was beautiful and we’re happy with everything. Thank you so much for spending time with us and being a part of this significant time in our lives. We will never forget you, and will keep in touch when we visit Vegas in the future. The Ritz Carlton is a special place for us and will always hold our wedding memories. Thank you so much again for your spirit! Hope you are well. We have just returned from our honeymoon in the Bahamas. We would like to send our sincere thanks for making our wedding ceremony so special. We had a perfect day and we could not have asked for anything better. It was a pleasure discussing our wedding with you and we will send our information as soon as possible. If you have any additional question or words of wisdom for us, please don’t hesitate to email. Thank you for officiating our wedding last November. Although our wedding was small and simple, yet you made the ceremony beautiful with a touch of class and elegance. Your enriching words and message are so touching plus your humor makes the feeling so light. Most of our guests acknowledged how unique and special our ceremony was because you made it so. Thank you so much for your kindness and patience, especially during our rehearsal. Again, a heartfelt thanks for spending time with us and being a part of our most memorable event in our lives. I want to thank you for being so supportive and it relieved my worries that you would have found a substitute in the event that we were not able to find someone suitable. I really appreciate your thoughtfulness. Have a wonderful time at the graduation and hope that our paths will cross again. Pastor Bruning made our day so special!! He talked with us over the phone and emailed before the service so, we felt very comfortable with him. This was really great because our wedding was a ‘destination wedding’. He personalized our ceremony exactly how we wanted it. His words were so special and really made the day for us. We plan on having Pastor Bruning marry us again on our anniversary!! If you are in Vegas and looking for a Pastor, please choose Pastor Bruning. I have no doubt that he will make your day special and memorable! !